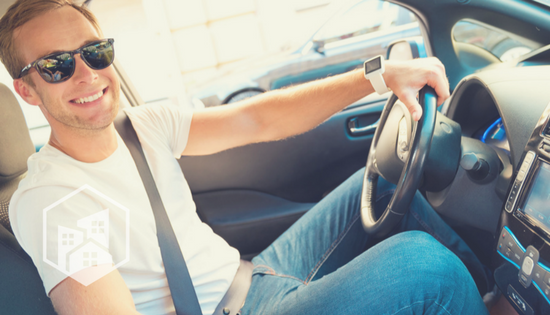 If you’re still driving around in the family hand-me-down or the mid- sedan that doesn’t exactly get exceptional gas mileage, you should continue reading this post. In fact, we’re here to help you explore driving options you might’ve not even considered. 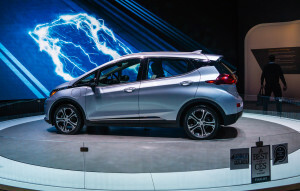 Instead of going to your dad’s favorite dealership to look at the new large-and-in-charge SUV, be sure to check out Mother Nature’s favorite type of vehicle: the electric car. Join us in learning about some of the more popular electric vehicles (EVs), specifically the new Chevy Bolt, the Nissan Leaf and Tesla’s upcoming Model 3. The 2017 Chevrolet Bolt EV is a brand new addition to the world of EVs. Available at the end of this year, the Bolt EV is an all-electric compact car that comes standard with a lot of nifty features. With a 238-mile driving range per charge, you can enjoy the EV’s standard rear vision camera, Regen on Demand™ Steering Wheel Paddle that regenerates energy when decelerating, a 10.2-inch digital touch display and a remote start engine while getting from point A to point B to point C and more. In addition, the vehicle has an available 240-volt charging unit that adds 25 miles of driving range every hour it’s charged. Check out more information on Chevy’s website. The 2016 Nissan Leaf S30 is an EV that you might have seen around your neighborhood. 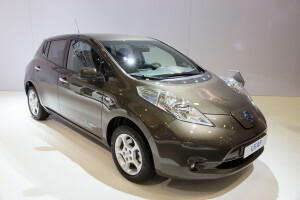 It’s picking up popularity, and the Leaf’s affordability and zero tailpipe emissions are a huge contributing factor. Nissan suggests that the average American drives about 37 miles or less a day, so the Leaf’s 107-mile range per full charge allows you to make nearly three days’ worth of driving on one charge. Similar to the Chevy Bolt EV’s Regen on Demand feature, the Leaf has a B-mode, or regenerative breaking drive mode, that recycles energy back into the power supply. While it has a lot of great features under the hood, the interior has a lot to show as well: Nissan Intelligent Key entry (allowing you to open the car with just the touch of a button), review camera for parking in tight spaces, standard heated front seats and holographic kick plates – giving your ride extra flair. Read all that the Leaf S30 has to offer on its website. You’re probably familiar with the car manufacturer Tesla, but it’s newly announced Model 3 has recently made the car company attainable to the masses. Starting at only $35,000 (before incentives and tax rebates), the 215-mile range per charge EV has impressive performance stats, reaching from 0 to 60 mph in under six seconds. It’s designed to achieve 5-star safety ratings (in every category) and features autopilot hardware (think self-driving car), something that most gasoline powered vehicles don’t offer. 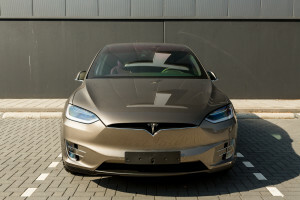 While you can find charging stations for most EVs easily across the nation, Tesla’s charging stations stand out with thousands of its Supercharger stations across the globe. What makes these charges pretty impressive? They’re free connectors that can give you up to 170 miles per 30 minute charge. Learn more about the Model 3 on Tesla’s website. Electrics cars don’t produce as much greenhouse gas as gasoline-powered vehicles, and this reduction of emissions would result in improved air quality, less smog and would be a huge step in slowing climate change. Electric vehicles do require charging, and this means that greenhouse gasses would still be a problem if coal-burning plants generate power. However, electric cars can still reduce carbon emissions by up to 22 percent compared to carbon-emitting vehicles, despite coal-generated charging.